Coconut Flour Pancake is a delicious pancake made from the healthy, gluten-free, grain-free coconut flour. These pancakes are great for weightloss. And with a little bit of adjustment, it is keto friendly too. You can eat Coconut Flour Pancakes with Custard, Akamu (Ogi), Oat Meal, even as a snack with a chilled drink. Use tasteless and odourless vegetable oil for frying eg sunflower oil or the vegetable oil sold in Nigeria. 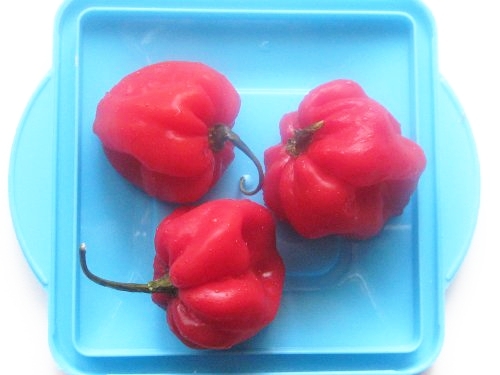 Habanero pepper is atarodo, ose oyibo or atarugu. Icing sugar works better than ordinary sugar in coconut flour pancakes. Cut the onion and habanero pepper into pieces. Add the virgin coconut oil into a bowl. Add the icing sugar and the egg whites. Use a handmixer or an egg whisk to beat the ingredients till the egg whites foam. Add the coconut flour, salt and the peak milk. Mix with the handmixer till everything is well combined. Add the onions and habanero pepper and mix with a spatula. Set a frying pan over low heat. Add a few drops of vegetable oil, just enough to lubricate the frying pan. When moderately hot, pour some coconut flour pancake batter into the frying pan and patiently wait for it to cake. When the underside is light brown, gently flip the pancake to fry the other side too. The coconut flour pancake is done when both sides are light brown. 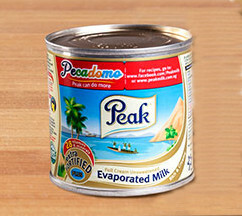 Enjoy it with fruits, Custard, Akamu (Ogi), Oat Meal, even as a snack with a chilled drink. Add any condiment you use for pancakes: honey, gravy etc. Previous articleWatch Episode #8 of Lola Unfiltered …Things Men say/do to Piss Women off!